Lists for 2015 and 2014 are also available. The papers listed below and adjacent have been published in 2016. Where possible a link has been shown to an online version, but for further details please contact one of the authors. Updated 23rd February 2017. Auburn, T., Smart, C., Santos, G. H., Annison, J., & Gilling, D. (2016). Discovering Mental Ill Health:‘Problem-Solving’in an English Magistrates’ Court. In The Palgrave Handbook of Adult Mental Health (pp. 633-652). Palgrave Macmillan UK. Denham, S. L., Coath, M., Haden, G. P., Murray, F., & Winkler, I. (2016). Relative Pitch Perception and the Detection of Deviant Tone Patterns. In P. VanDijk, D. Baskent, E. Gaudrain, E. DeKleine, A. Wagner, & C. Lanting (Eds. ), Physiology, Psychoacoustics and Cognition in Normal and Impaired Hearing (Vol. 894, pp. 409–417). Kristensen, M., Edworthy, J., & Özcan, E. (2016). Alarm fatigue in the ward: An acoustical problem?. SoundEffects - An Interdisciplinary Journal of Sound and Sound Experience, 6(1), 88-104. Lloyd, H.F., Macdonald, A. and Wilson , L. (2016) Solution-focused brief therapy. In N. Beail (Ed. ), Psychological Therapies and People who have Intellectual Disabilities (pp. 61-71). Leicester: British Psychological Society Division of Clinical Psychology. Sivakumar, H., Hanoch, Y., Barnes, A., & Federman, A. (2016). Cognition, Health Literacy And Perceived Medicare Knowledge Among Low-Income Beneficiaries. Journal of the American Geriatrics Society, 64, S252–S252. Zanatto, D., Patacchiola, M., Goslin, J., & Cangelosi, A. (2016). Priming Anthropomorphism Can the credibility of humanlike robots be transferred to non-humanlike robots? In 2016 11th Acm/Ieee International Conference on Human-Robot Interaction (hri) (pp. 543–544). New York: Ieee. The papers below have been accepted for publication and are currently 'in press'. Barnes, A., Hanoch, Y., Miron-Shatz, T., & Ozanne, E. (in press). Tailoring risk communication to improve comprehension: Do patient preferences help or hurt? Health Psychology. Gibson, S., & Smart, C. A. (2017). Social Influence. In B. Gough (Ed. 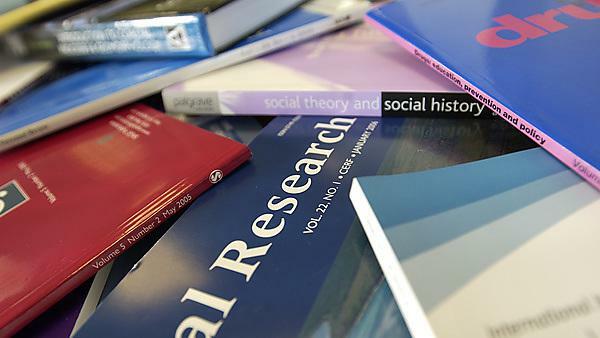 ), Handbook of Critical Social Psychology (Vol.Handbook of Critical Social Psychology). Palgrave MacMillan. Hollins, T. J. & Weber, N. (in press). Monitoring and regulation of accuracy in eyewitness memory: time to get some control. In J. Dunlosky & S. Tauber (Eds.) Handbook of Metacognition (pp. 171-195), Oxford, Oxford University Press. doi: 10.1093/oxfordhb/9780199336746.013.22. Hyland, M., Hinton, C., Hill, C., Whalley, B., Jones, R. C. M., Davies, A. F. (in press) Explaining unexplained pain to fibromyalgia patients: finding a narrative that is acceptable to patients and provides a rationale for evidence based interventions. British Journal of Pain. Roberts, H., Watkins, E., & Wills, A.J. (in press). Does rumination cause "inhibitory" deficits? Psychopathology Review. Sivakumar, H., Hanoch, Y., Barnes, A., & Federman, A. D. (in press). Cognition, Health Literacy and Actual and Perceived Medicare Knowledge among Inner-City Medicare Beneficiaries. Journal of Health Communication. Smart, C. A., & Denman, K. (2017).Student and supervisor experiences of learning and teaching CA and DP for autism focused research: a reflective approach. In M. O'Reilly (Ed. ), A Practical Guide to social interaction research in autism spectrum disorders (ASD). Palgrave MacMillan. Terbeck, S. (2017). Should we cure prejudice? Should we fly? In M. Hauskeller & L. Coyne (Eds. ), Moral Enhancement. Cambridge: Cambridge University Press. Trippas, D., Handley, S. J., Verde, M. F., & Morsanyi, K. (in press). Logic brightens my day: Evidence for implicit sensitivity to logical validity. Journal of Experimental Psychology: Learning, Memory and Cognition.